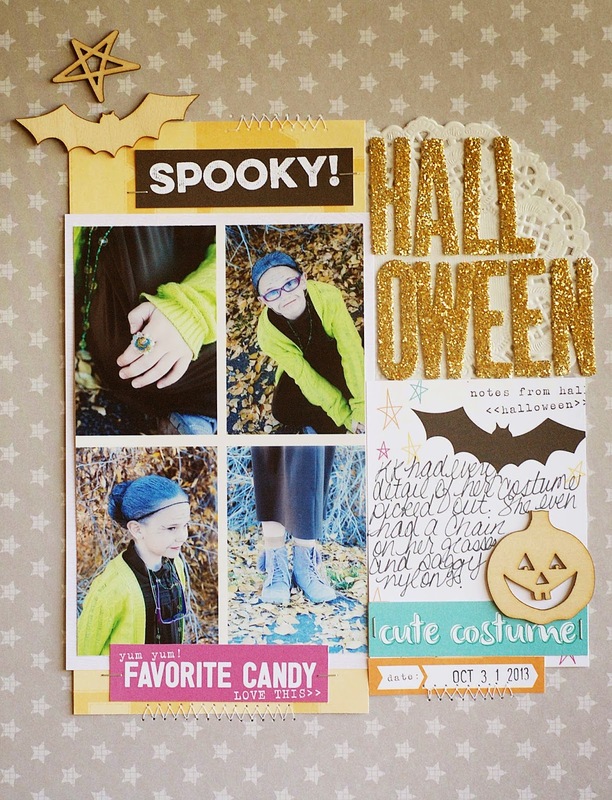 Today for Lets Talk Tuesday I wanted to share with you some of my favorite Halloween projects to give you some ideas of supplies that you may want to purchase and photos you may want to take. Some of these projects are older and some of them are hot off the press (hot off the press is my version of less than a few weeks old). This Halloween project is a little bit unusual. I used a Valentines day themed kit for this layout. I think it worked though...that photo of my niece is one of my all time favorites. 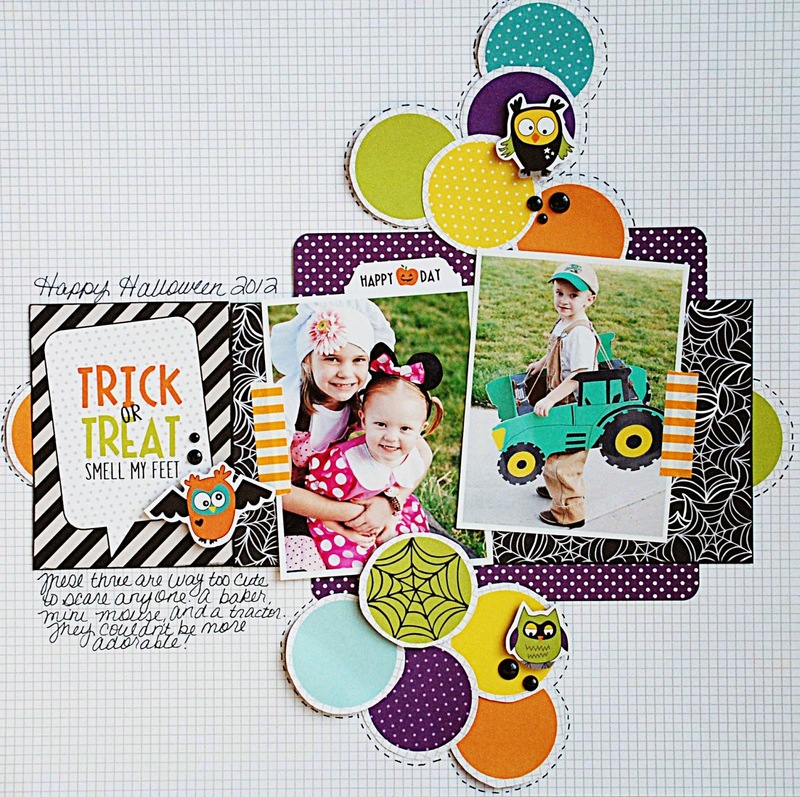 All three of these layout I did with Bella Blvd Halloween (Too Cute to Spook). This is one of the easiest and most fun collections I've ever worked with. I only have a few small scraps left of this collection. 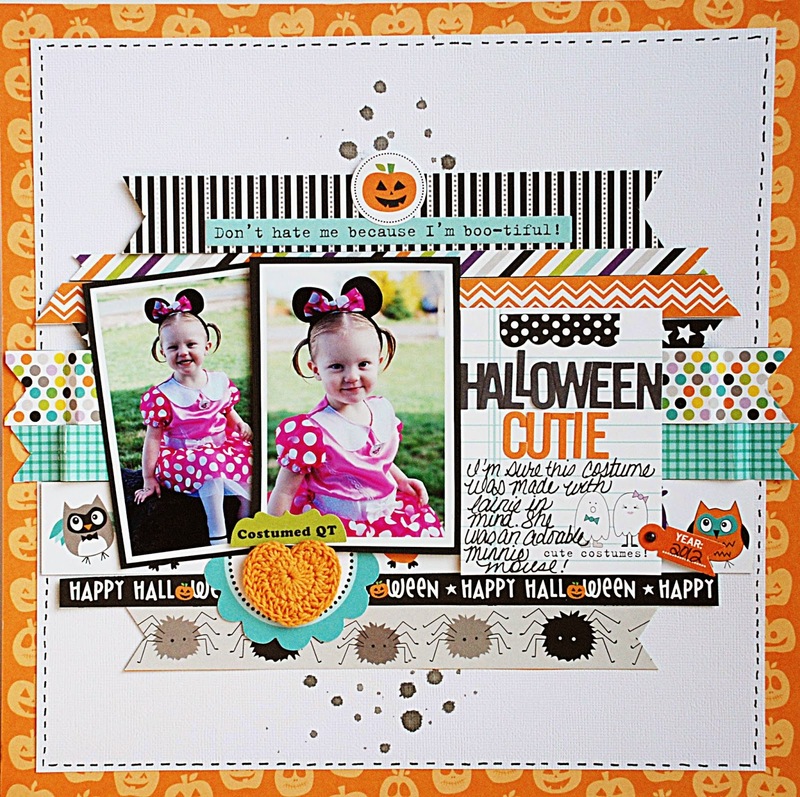 These two layouts are created with Bella Blvd Halloween newest collection (Halloween Magic). 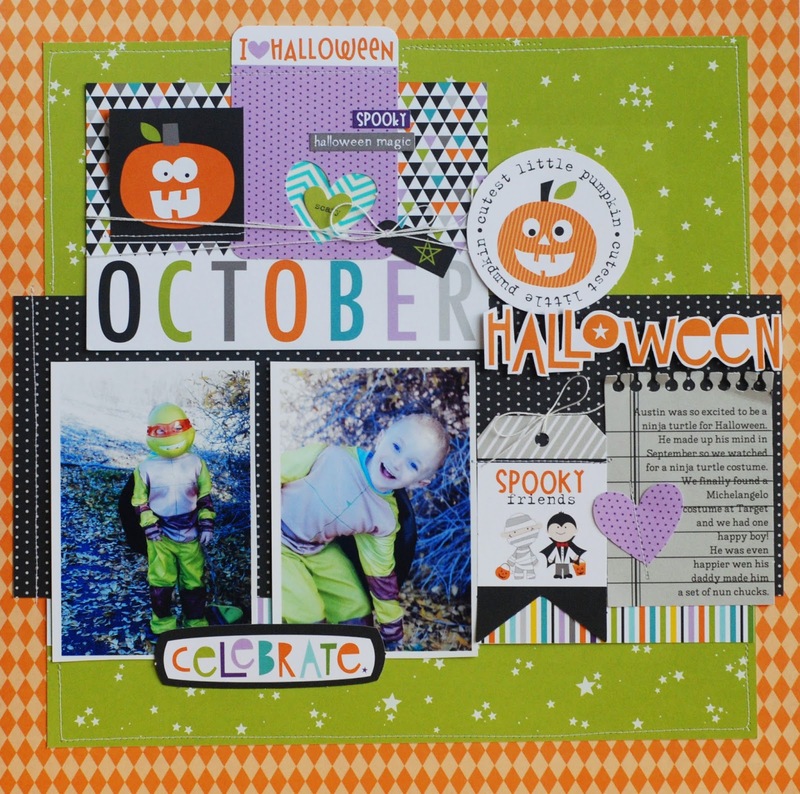 This collection is just as easy and fun to work with as their previous Halloween collections. Have I ever mentioned that I LOVE Bella Blvd?!?!? This last project I created for Elle's Studio. 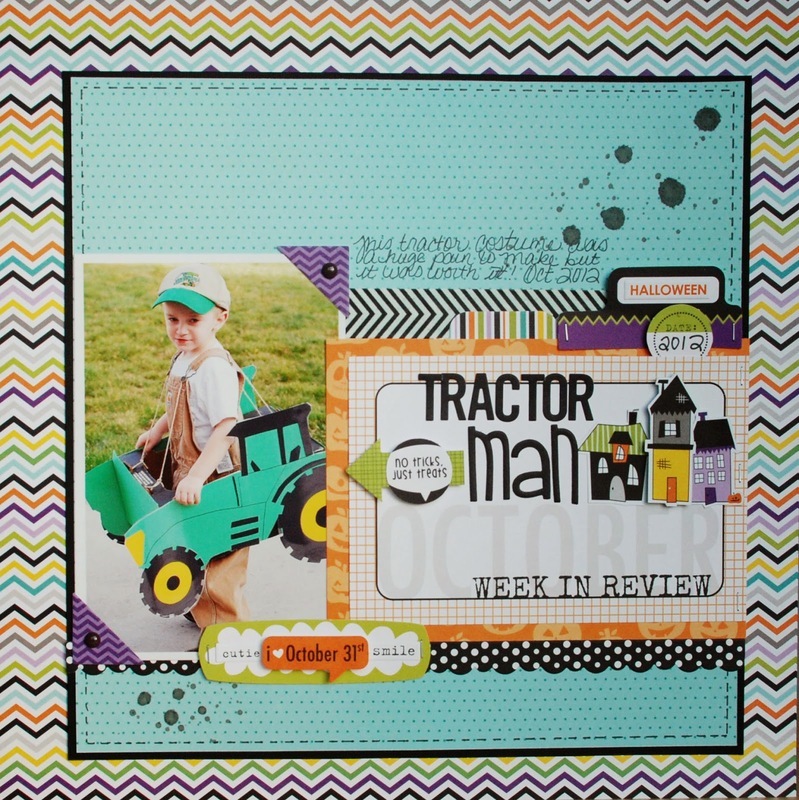 I used a mixture of their everyday supplies and a few things from their current Halloween kit. Aren't those wood veneer pieces adorable? I've got another one of these kits sitting on my desk waiting for this years Halloween photos. (You can find that kit HERE). I think the biggest tip I can give you as far as Halloween photos go is to do a Halloween photo shoot before the big day. I take my kids out (and usually a few extra kiddos) a few days before Halloween and get some good photos. It took me a couple of years of being frustrated about photos that were too dark and blurry for me to realize that taking photos on Halloween night doesn't work for me. I love having photos done before all the fun and chaos of Halloween night. How do you prefer to do your Halloween photos? Do you take them early or do you just wait until the big night? I love how you layer things! Thanks for the inspiration!